Cosplay a short version of two words – costume and play. People portray fictional characters, often sci fi characters, by wearing the costume and assuming the personality of that character. People who cosplay (cosplayers) appear at comic cons (comic book conventions, such as San Diego Comic Con) to show off their costumes and often compete for prizes or bragging rights. The result is a unique form of performance art. 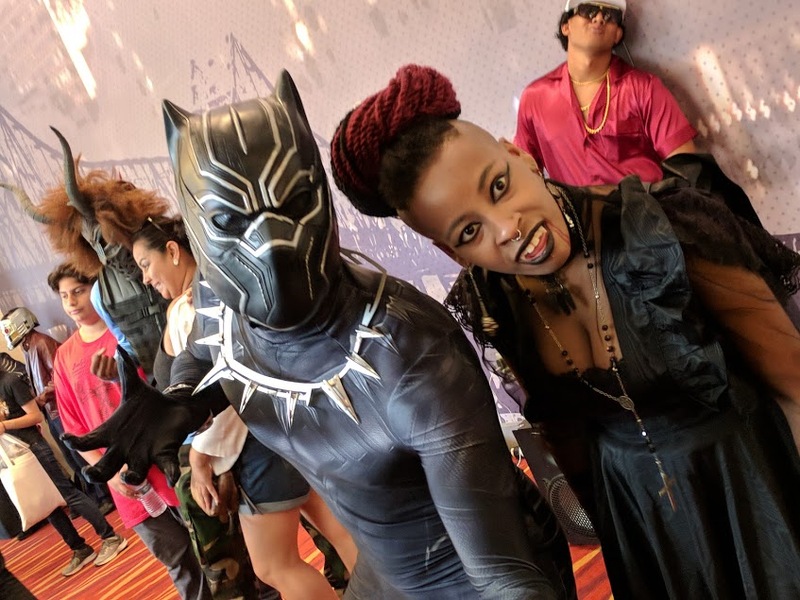 As the number of black sci fi characters gain more exposure, such as Black Panther, Black Lightning, and Luke Cage, black cosplayers are increasing, but are much fewer in number comparatively to white cosplayers. We hope more black people embrace cosplay for the sheer enjoyment and show the world our characters are badass and deserve to be celebrated too! Here’s a great video from BecomingTia on how to start cosplaying. Enjoy and we hope to see your cosplay at the next comic con we cover!